Discussion in 'News - Breaking News & Political Forum' started by RUBY, Feb 3, 2019. 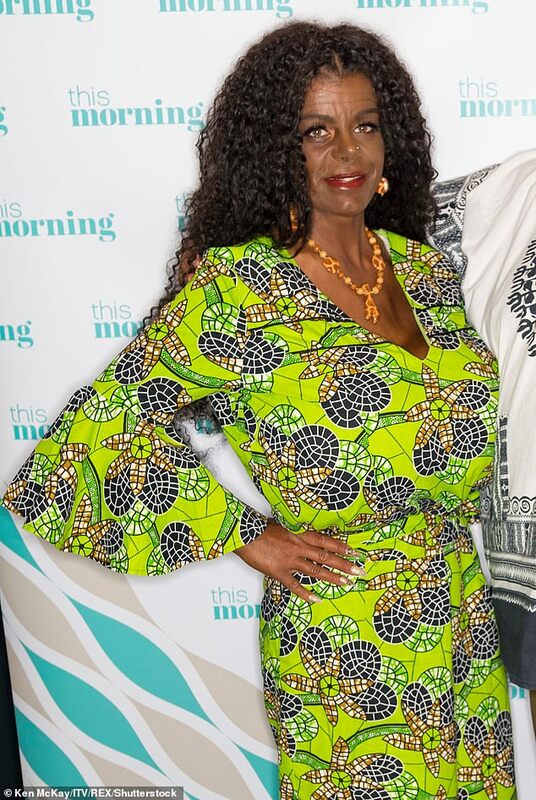 Martina Big, the German-born white glamour model who has had tanning injections to darken her skin because she 'identifies as black' has revealed that she plans to move permanently to Africa. 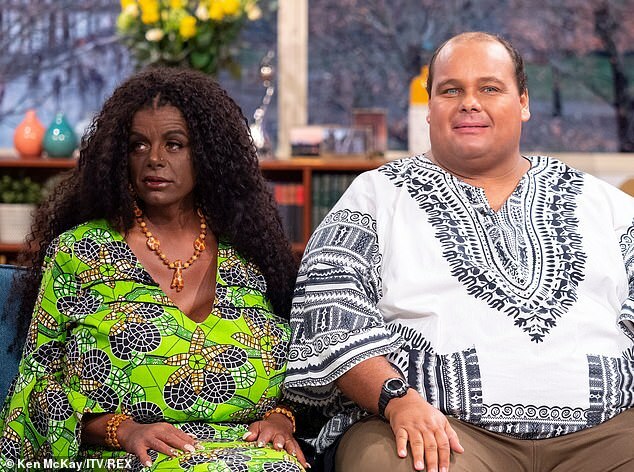 Big, 30, and her husband Michael Eurwen, 31, both inject Melanotan, a synthetic hormone to darken their skin. The couple say they've been house-hunting in Kenya and hope to make a move to the continent soon. The glamour model, who has 30S breasts after multiple operations to enhance them, now goes by the name of Malaika Kubwa, meaning Big Angel in Swahili, after a baptism ceremony. She says she wants to move to be with her 'people' and learn how to raise a family in the African way. Petal26, Mooney72, prettyinpurple and 6 others like this. How could you be stupid enough to not understand how offensive this is? prettyinpurple, Sanity and nysister like this. Watch a bunch of white black folks start doing this. They are following the Chinese lead. Pat Mahurr and nysister like this. Even by British standards I canny believe she's 30. "I want to learn more about the black culture first, so that I can educate my future children in black"
nyeredzi, Petal26, Makenzie and 7 others like this. The articles says she’s 30. Petal26 and prettyinpurple like this. Isn't she German? I watched a doccie on her a while back. And that woman is nowhere near 30. Anyway this is all for press. I'm not going to get offended by this buffoon. prettyinpurple and nysister like this. I'm here for the foolishness! chocolat79 and prettyinpurple like this. Again white privilege thinking that she can show up and be welcomed "back home". The good thing with all that tanning she'll be getting Skin Cancer soon! I had to post this video but can't get it to embed. This chick is looney tunes. Mooney72 and prettyinpurple like this.